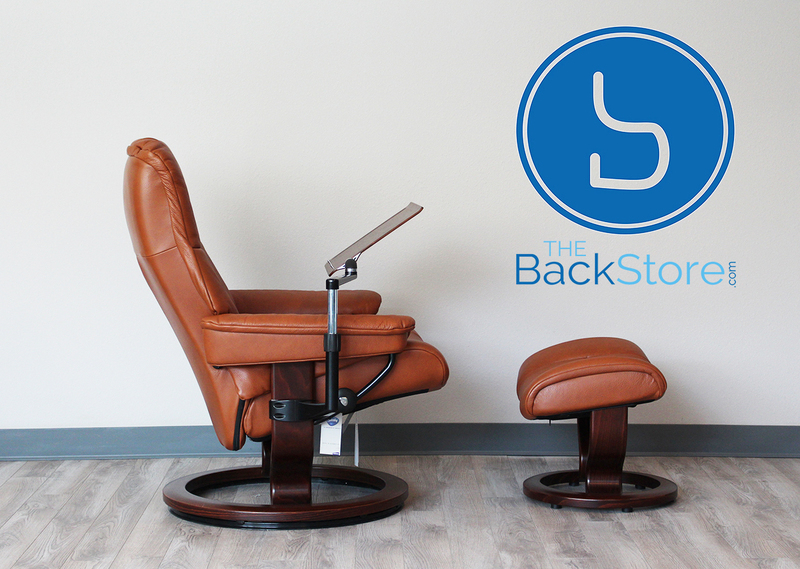 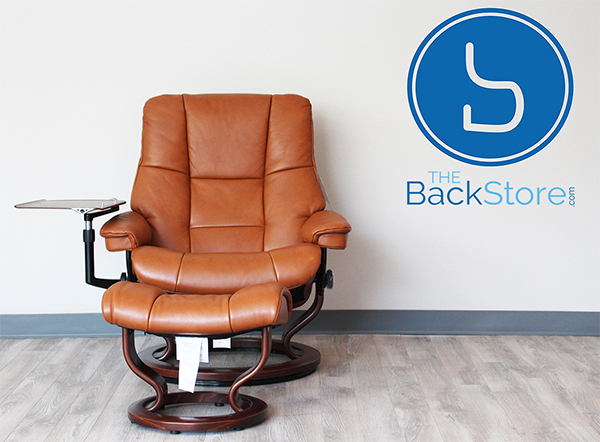 Ekornes Stressless Kensington Large Mayfair Royalin TigerEye Leather Recliner Chair and Ottoman. 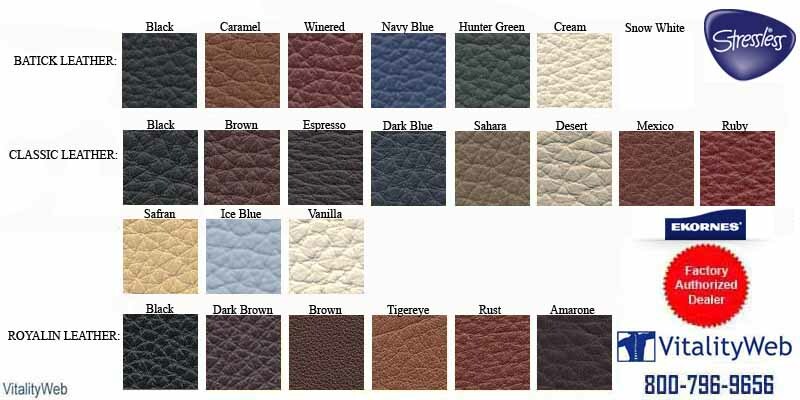 Stressless Kensington Large Mayfair Royalin TigerEye Leather Recliner Chair - Our Stressless Kensington Large Mayfair Royalin TigerEye Leather offers durability and a sensible price point It will withstand wear and tear over the years developing to a soft patina, natural to aged leathers. Batick is corrected from visible defects and improved by pigment, with a grain embossed surface. 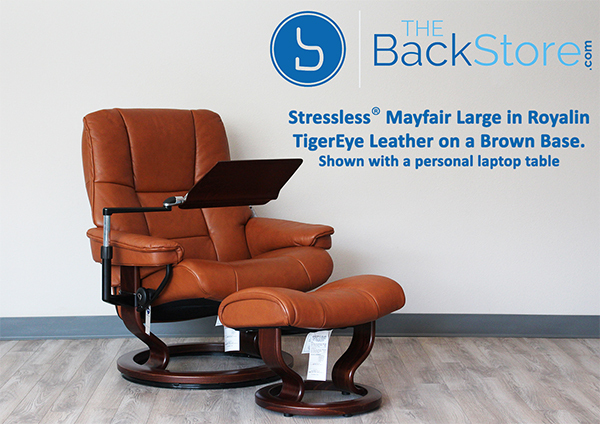 Stressless Kensington Large Mayfair Royalin TigerEye Leather is specifically processed to be resistant to fading in natural lighting with a heavier protective lacquer coating that is designed to make cleaning easier. This is an excellent choice for families.